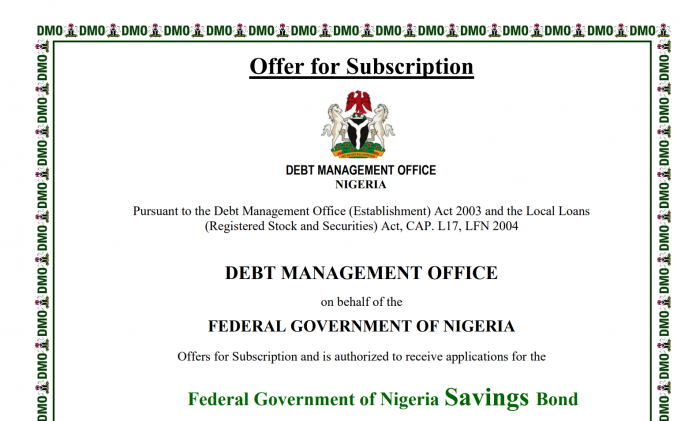 The Federal Government of Nigeria has announced details of the new issue of its FGN Savings Bond Offer. 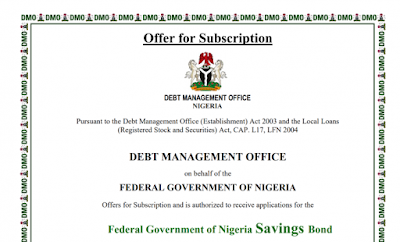 The Debt Management Officer, which issued the bonds on behalf of the FG reveals subscription for the savings bond re-opened, Monday the 9th of April 2018. Coupon Payment Rate July 18, October 18, January 18, April 18. To buy, you will have to contact your Stockbroker. Stockbrokers advise that all forms are submitted on or before 12noon on Friday to enable timely submission to the DMO.